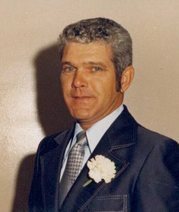 Lloyd Vincent Clausen, 79 of 1405 East 16th St., Loveland, Colorado, died at McKee Medical Center Friday January 15, 2010. The funeral will be held 10 AM Thursday January 21, 2010 at Allnutt Funeral Home, 2100 North Lincoln Avenue, Loveland, Colorado 80538. On May 30, 2010 a private memorial will be held in Cedar Rapids Iowa where his ashes will be scattered. He was born May 30, 1930 in Clinton, Iowa to Gerhardt C. Clausen and Rebecca M. Piper Clausen. Lloyd was married September 18, 1951 to Frances E. Boonstra of Fulton, Illinois. He is survived by two daughters, Rebecca E. Clausen Worthley of Canon City, Colorado, Deborah L. Clausen Walters and her husband Alan Walters of Commerce City, Colorado, two sons Garry A. Clausen of Milwaukie, Oregon and Thomas A. Clausen of Ft. Collins, Colorado, ten grandchildren as well as six great grandchildren, two sisters Fern Clausen Schubert of Clinton Iowa, Florence Clausen Finch of Oxford Ohio, three brothers Leon Clausen of Spencer, Oklahoma, Vernon Clausen of Harlingen, Texas and Tom Clausen of Albuquerque, New Mexico. He was preceded in death by his second wife Patsy Greenland of Grand River, Iowa whom he married October 26, 1968, his mother, father, 5 full brothers and sisters and 10 half brothers and sisters 3 of whom died in infancy. He was the successful owner of Clausen Home Builders in Cedar Rapids, Iowa and Clausen Outdoor Equipment a John Deere dealership in Newton, Iowa.